Influential Republican Sen. Chuck Grassley, a staunch critic of H-1B visa, has again repeated his assertion that the program puts American workers at risk. “American workers are increasingly at risk because the United States admits so many foreign workers,” the Iowa Republican was quoted as saying by Newsweek during a congressional hearing on homeland security. The H-1B visa program allows foreigners to work in the United States in areas where highly skilled labor is required and Indian professionals are the largest beneficiaries of the visa program. 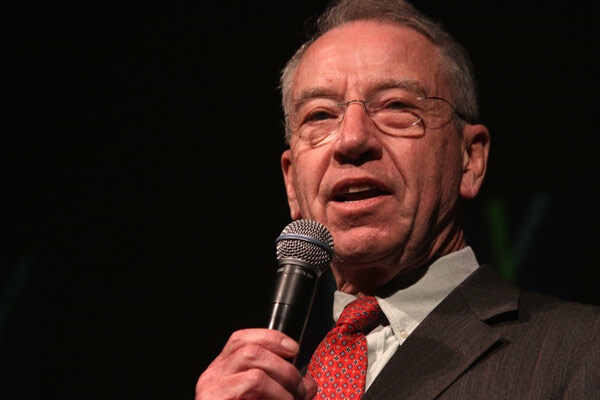 Though the visa is issued for a limited period, Grassley noted that some foreigners are allowed to stay in the country for decades due to visa extension allowed by the government. “Many companies use cheap foreign labor, driving down salaries, where still many of these employers commit terrible abuses,” the senator said. “That’s why I was pleased to see this administration take on these issues with its ‘Buy American, Hire American’ executive order,” he added. Grassley’s remarks assume importance in the wake of the steps taken by the Trump administration to curb immigration. The White House is limiting immigration citing loss of American jobs as the reason. It was an important part of President Donald Trump’s campaign in the run-up to the presidential election. A proposal to put further restrictions on the existing H-1B rules, which is a part of President Donald Trump’s “Buy American, Hire American,” initiative promised during the 2016 campaign, has sent shockwaves among the immigrants. Jonathan Withington, chief of media relations for USCIS, had stated that the Department of Homeland Security (DHS) was considering several changes to the existing visa regulations. But the authorities later clarified that there wouldn’t be any significant changes to the H-1B system. Recently, Republicans had introduced a bill aimed at reducing chain migration and increasing green card issuance. While the bill seeks to eliminate the visa lottery green card program and green card programs for relatives (other than spouses and minor children) for ending chain migration, it proposes to increase the number of green cards available in the three skilled worker green card categories from about 120,000 a year to about 175,000 – an increase of 45 percent.